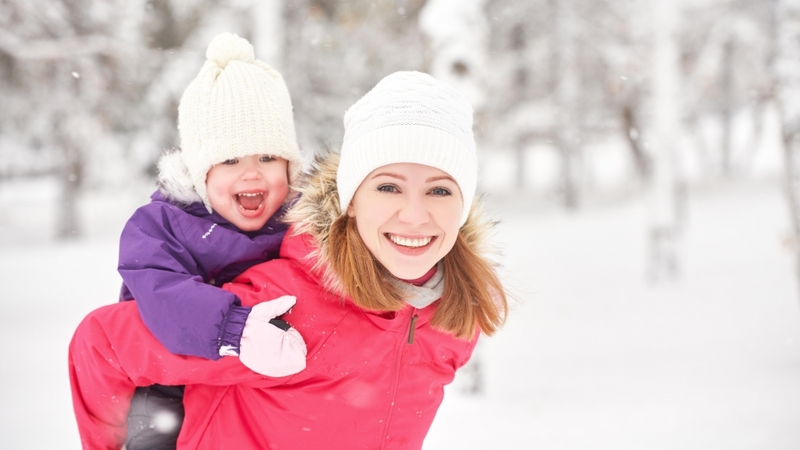 With a new year just starting and snow falling, we’re sure you have plenty to smile about. Here are 10 reasons why you should be smiling and things to smile about. We are drawn to people who are smiling and away from people who are frowning. It also makes you feel more confident and more likely to make a better impression. When you smile, endorphins are released which improves your overall mood and helps gets rid of stress. Our brains are hardwired to believe that we only smile when we are happy so by smiling you can actually trick your brain into thinking you are in a better mood! Another scientific reason to turn that frown upside down – it can actually help boost your immune system. It has been reported that the body releases more white blood cells when you’re smiling than it usually does. White blood cells protect the body against infectious diseases and foreign invaders, so it’s a really easy way of staying healthy. That’s the reason why celebrities are often invited to children’s hospitals. A study conducted in 2010 showed that people who smile more, are much more productive and creative in the workplace. Smiling is contagious so spread that smile around. Forcing yourself to smile makes you feel happier! Have you ever tried to think of something negative while you’re smiling? Want an easy way to improve your health? Just get grinning! Studies monitoring blood pressure before and after smiling showed a measurable difference. Canada is not only a beautiful country but full of so many opportunities. Living in this awesome country is a reason for anyone to smile! It’s hard not to keep smiling when you’re in this stunning mountain town. Especially with blue skies and snow falling, this winter paradise is enough to keep you showing off those pearly whites! Being able to get outside and go for walks in the fresh air is guaranteed to make anyone feel happier. Get away from day to day life and take a walk to the lake. We know how to make your smile look pristine and how to help you look after your teeth. Having a good dentist is the best way to ensure your smile is looking its best. Come book an appointment at Whistler Dental today so we can help you get the perfect new year smile. Book an appointment here or call 604-932-3677. Dental Health New Year’s Resolutions Is It Love Or Is It A Root Canal?